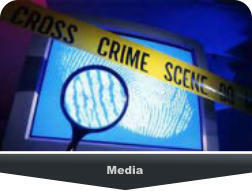 Crime Stoppers utilizes a multimedia approach, for solving crime, designed to gather evidence and information on unsolved crimes through the cooperation of local media. Periodically a fugitive or unsolved crime is selected by the Crime Stoppers Police Coordinator, who distributes the information as supplied by the investigating agency, to the media publication, radio, television, newspaper and/or billboard. This is known as the Crime of the Week and will result in a reward to the individual who supplied the information needed to solve the crime.